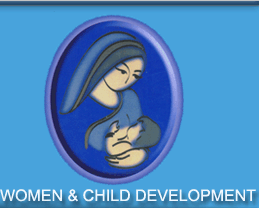 24 vacancies to be filled for various posts in Department of Social Security and Development of Women & Children. Eligible candidates needs to apply fast as late date to apply is 30/09/2014. Age Limit: Between 21 to 40 years as on last date of receipt of application and Age relaxation for the category candidates should be as per government rules. Superintendent: Master’s Degree in Special Education, Child Development or Social Work or equivalent from a recognized University or Institution with relevant experience. Nursing Assistant: D- Pharmacy from recognized Institute. Teacher & Clerk: Graduation Degree with relevant experience in the concerned field. B.Ed in Special Education or equivalent professional training must be required for the post of ‘Teacher’ only. Attendant: Must be Middle Pass with Punjabi and having experience in the relevant field. Sweeper & Cook: Should have knowledge of Punjabi and having relevant experience in respective trades. Interested Candidates may apply in the prescribed format along with the duly attested photo copies of relevant certificates/ testimonials in support of date of birth, qualifications, experience (if any), category (SC/ ST/ PWD), etc.,with a recent passport size photograph may be forwarded to the “District Child Protection Officer (of the particular location for which the post applied)” on or before 30 September 2014. For Amritsar – “Nari Nakitan Complex, Majitha Road, Amritsar”. For Ludhiana – “Social Welfare Complex, Shimla Puri, Ludhiana”. For Patiala – “Room No. 115 – 116, Block – D, Mini Secretariat, Patiala”.